Neville is a NHMRC Senior Principal Research Fellow and Distinguished Professor of Health Sciences at Swinburne University. He has honorary appointments as an Adjunct Professor in the School of Public Health at the University of Queensland, an Honorary Professorial Fellow in the School of Population and Global Health at the University of Melbourne and an Adjunct Professor in the Department of Medicine at Monash University. Prior to his most recent move to Melbourne, he was Foundation Professor of Human Movement Science and Head of the School of Human Movement at Deakin University (1995–99) and Director of the Cancer Prevention Research Centre at the University of Queensland (2002–11). His research relates to the primary prevention of diabetes, heart disease and cancer, through identifying the health consequences and environmental determinants of physical inactivity and sedentary behaviour — too little exercise and too much sitting. This involves laboratory-based experimental work, large-scale prospective observational studies and real-world intervention trials. He has published some 500 peer-reviewed papers and chapters. Neville has been supported continuously by grants from the NHMRC since 1992. 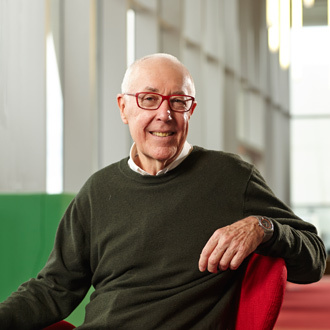 He completed his second five-year Program Grant (Sitting less and moving more: population health research to understand and influence sedentary behaviour) and now leads a NHMRC Centre of Research Excellence (Sitting time and chronic disease prevention — measurement, mechanisms and interventions). In tobacco control, documenting novel population data on correlates of tobacco use, outcomes of telephone and print delivered smoking cessation interventions; this provided key evidence to inform tobacco control strategies; co-writing the original 'Can Quit Book' (the precursor of the self-help cessation guides used to this day) and conducting the NHMRC trial led to the national 'Quit Coach' smoking-cessation website. In physical activity, conducting measurement studies had a strong scientific influence and led to initiatives developing the Active Australia Survey; since the mid-1990s, this has been the standard method used by the Commonwealth and states to characterise physical activity in population-health surveys; publishing a set of peer-reviewed papers on the outcomes of state and national mass media campaigns that remain internationally-unique findings. In policy formulation, conducted the Why People Do and Do Not Exercise project for the Commonwealth in the early 1980s and provided the evidence base for the Heart Foundation's Built Environment and Walking, and Healthy Spaces and Places initiatives. In sedentary behaviour, recognition of research leadership through US-NCI advisory roles, invited presentations and chapters for mainstream exercise science and physical activity textbooks.